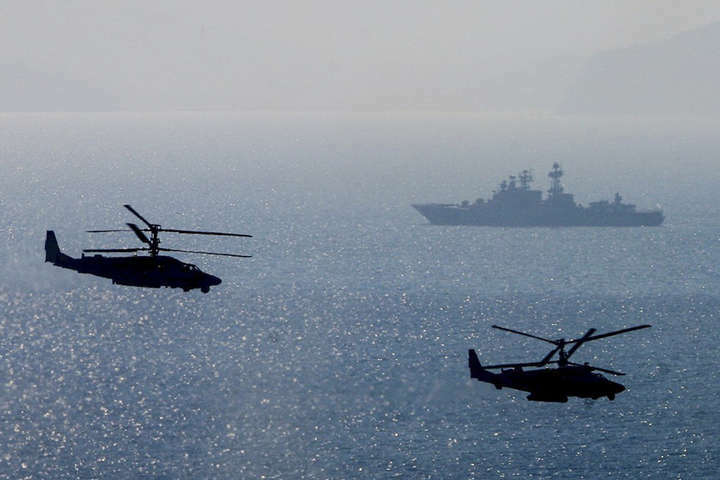 The threat came as a member of the defense and security committee of the Federation Council, Frants Klintsevich, commented on the detention by Ukrainian border guards of 15 vessels for cheking into ports of the occupied Crimean peninsula. "This is obvious chaos. And it does not matter whether it is a matter of this being Russian ships or foreign vessels – all of them checked into Crimea ports absolutely legitimately," the official wrote on Facebook. He believes that Kyiv "is pushing" Moscow to retaliate. Klintsevich said that Russia is capable of blocking, “literally within minutes,” the Sea of Azov for any Ukraine-flagged vessel. Earlier, the State Border Guard Service of Ukraine reported the seizure of 15 ships for their illegal checks in the ports of the occupied Crimea. Commander of Ukraine's Joint Forces Serhiy Nayev, said that the Russian invaders were trying to intensify the escalation of the Sea of Azov, and in this context the Mariupol direction is one of the most important ones in the context of creating prerequisites for repelling aggression.